Graphic novels are a medium I’ve been dying to explore for years. I grew up in a comics-heavy household, but I rarely ever drifted away from the Riverdale gang in Archie comics (in case you’re curious: Betty, duh). In recent years, I’ve looked to graphic novels to break out of a reading rut, as I found that they have a special way of reigniting my creative side and showing me a whole new way to look at a story. So how excited am I about diving into some YA graphic novels? In a word: extremely. If they are all standouts like Faith Erin Hicks’ Friends with Boys, then I’m definitely in for a treat. 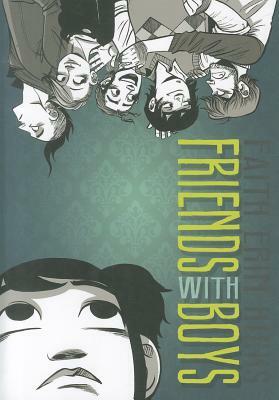 Friends with Boys is a perfect gateway read into the graphic novel world for someone who’s unfamiliar with or hesitant to read them. It’s the relatable story of a Grade 9-er named Maggie McKay, chronicling her first time attending public school and all of the literal and figurative ghosts that follow you home. Maggie is a very real and tangible protagonist. Even if you haven’t been homeschooled, you can understand her wariness to attend school outside of her kitchen for the first time. She has more than enough to handle, with her mother being absent, her father getting promoted, and her brothers acting how brothers do, and it endears the reader to her almost from the first panel. Because of Maggie’s endearing qualities, it’s both enjoyable and adorable to witness Maggie come out of her shell and befriend punky siblings Lucy and Alistair. And speaking of the Siblings Mohawk, I must state that I pretty much love them both for many different reasons. Not only did I delight in Lucy’s quirkiness and Alistair’s smooth confidence, I thought their backstory was brilliantly compelling. Friends with Boys is all about finding the strength to be who you are without apologies, and Lucy and Alistair show that every day. What drew me to Friends with Boys in the first place, however, was the artwork. At first glance, it reminded me of the work of Bryan Lee O’Malley (he of Scott Pilgrim fame), which is that realistic yet cartoon-y style. In short, it was just what I was looking for. Once I dove in, however, Hicks showed that she has a style all her own—sometimes bubbly and random (I couldn’t stop giggling about the visual depiction of “AWKWARD SILENCE”), others dark and twisty, but always gorgeous. Certain panels were especially memorable, like Maggie’s exit from the house on her first day, her detailed map of What’s What at Sandford High, and definitely any scene in the graveyard with the strange and somber ghost. I always feel the best comics are ones where the art and story are perfectly complemented, and that’s certainly the case here. If you’re looking for something a little left of normal without completely delving into the comics world, I absolutely recommend Friends with Boys. 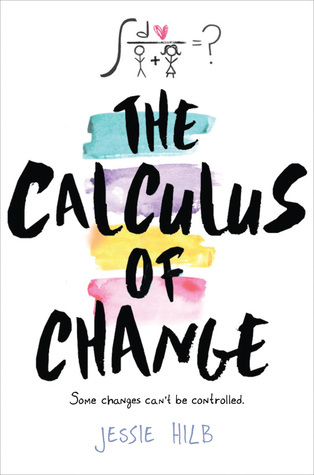 Hopefully, it will inspire you to look beyond your comfort zone genre and take a chance on something new. I know I’ll be taking on more graphic novels, and more Faith Erin Hicks novels, in the future.